I reviewed these same two wines from previous vintages about a year and a half ago. They were fine, but nothing exciting. Since then, I've had the Cabernet, their Pinot, and a blend enjoying notable improvements in character and quality. 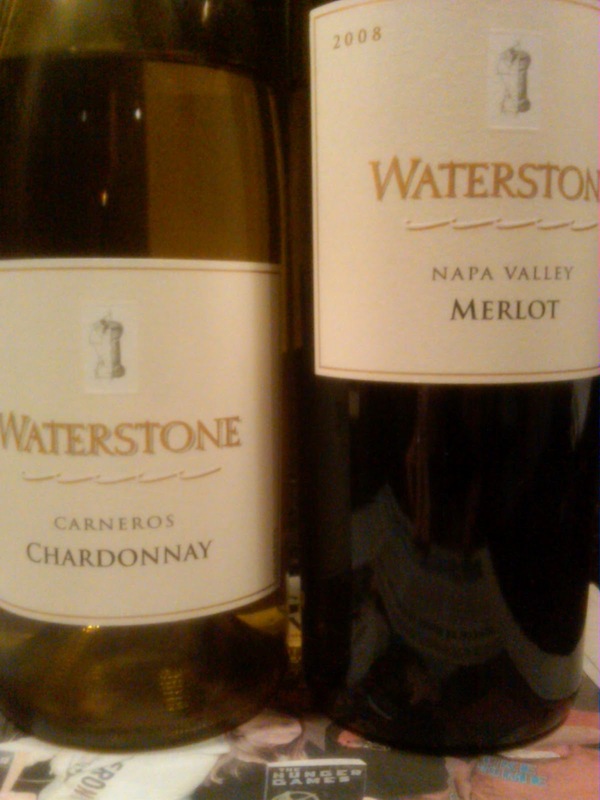 Revisiting the Chardonnay and Merlot, this trend continues with the Chardonnay being tough to put down. Both are fairly priced at $18 (though you'll find them for less depending on your market), both are varietally correct, and they are likely to please most. Round, soft, and mellow. This laid back Chard sets a relaxed tone without being loose or flabby. Nothing flashy here: oak and vanillin tones lounge in the background in an I've-got-nothing-to-prove sort of way. Impressive for its effect in causing the drinker to skip the analysis and get right to enjoying the wine with whatever conversation or contemplation ensues. That Friday night sigh of relief can be had any night. Noteworthy. Soft, pleasing, and more tannic than expected, it's a Merlot in Cab's clothing. A perfect "training Merlot" for the staunch cab drinker in search of palate diversification and better value. Holds up very well every after a couple of days open and reveals more characteristic, gregarious fruit. Nice.